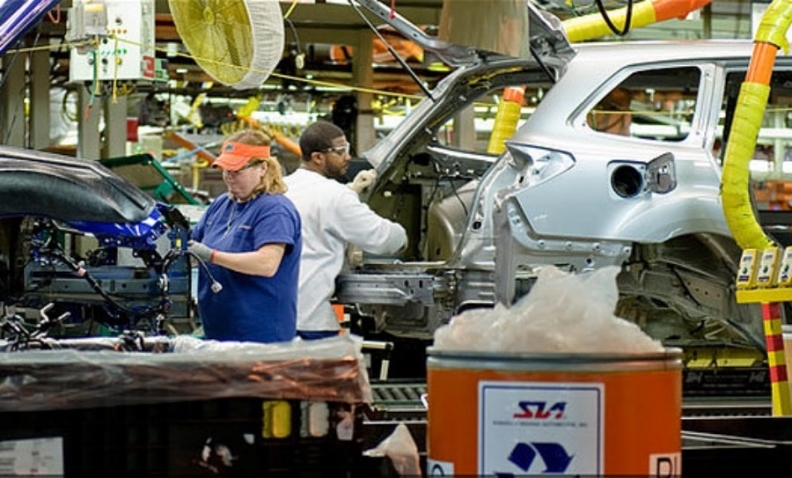 Subaru's plant in Lafayette, Indiana, is home of its North American production, building the Subaru Legacy, Outback and, beginning in November, the Impreza. Canadian parts suppliers have a chance to grow their business by meeting OEM purchasers face-to-face in the United States, an opportunity that has become more difficult to come by since the 2008 economic downturn. Subaru has invited Canadian auto parts makers to a supplier fair, Jan. 18, 2017 in Indiana as the Japanese automaker ramps up production there. The supplier fair is a chance for existing and new suppliers to present directly to Subaru Indiana’s purchasing and engineering teams. The Auto Parts Manufacturing Association and staff at the office of the Consulate General of Canada in Detroit arranged the fair. It’s just one of several supplier fairs geared toward Canadian companies each year, APMA President Flavio Volpe told Automotive News Canada. Volpe said it’s difficult to put a monetary value on any given supplier fair. He said what’s most important is that Canadian companies meet and present directly to the purchasing and engineering staff of automakers based in the United States. "We’re providing that critical first meeting. Where it goes from there is up to them," Volpe said. Since the 2008 economic downtown, purchasing for OEMs have increasingly become centralized in Michigan and other U.S. offices and headquarters, Volpe said. "These types of fairs are very lucrative opportunities, during which you meet the purchasing people directly, people that you used to be able to meet in Canada. That’s increasingly difficult to do," Volpe said. The APMA tries to arrange fairs quarterly. Locations include China, India, Japan and Germany, where Canadian suppliers recently met with Volkswagen. "But at least half our activity is in Michigan and the Great Lakes Region," Volpe said. "It used to be [OEMs] had wider representation in their operations in Ontario, in cities like Windsor, Oakville and Oshawa. "Now, you have to go into Detroit and Michigan. Most senior regional representation has collapsed into Michigan, so that’s why it’s important to go in there." Volpe said about 25 companies usually attend supplier fairs outside Ontario. Attendance at the Subaru fair is not open to every supplier; they will be selected by the company through an application process. Subaru of Indiana Automotive is looking for Canadian companies with expertise in the following: roof rails, door strikers and latches, small and medium injection parts, PVC and vinyl sheeting for seats, adhesive labels, insulators and bushings. Its plant in Lafayette is home of North American Subaru production, building the Subaru Legacy, Outback and, beginning in November, the Impreza. The company announced in 2015 it would also build a new three-row crossover in Lafayette. It’s scheduled to go on sale in 2018. Toyota owns a minority stake in Subaru and used to build the Camry at the same factory in Lafayette. Camry production there ended in May 2016, in order to maximize production of Subaru models to meet North American demand. Subaru of Indiana will produce slightly more than 313,000 units in 2016 and the company’s expectation is that number will grow to 342,000 units in 2017. The deadline for submitting applications is Nov. 11 at 5 p.m.